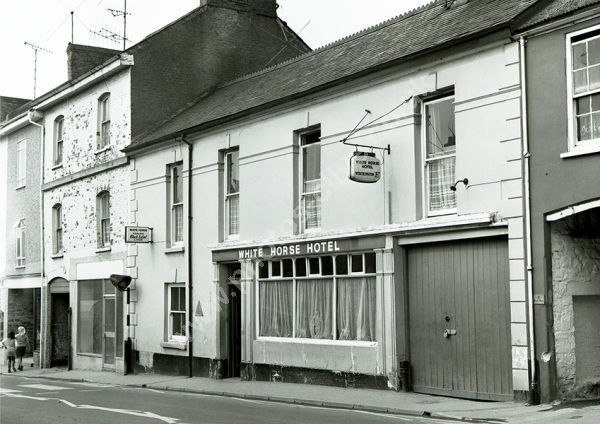 The White Horse Hotel in Ivybridge around 1974 at 45 Fore Street, Ivybridge. At some point the pub was aquired by St Austell Brewery and the name changed to The Old Smithy. For commercial use of this photo, including use on another website, please visit Alamy.com and search for AORHRO. For a one-off print please see below.